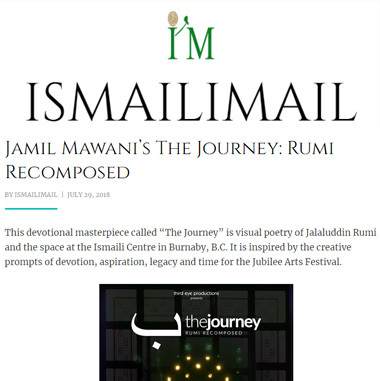 This devotional masterpiece called “The Journey” is visual poetry of Jalaluddin Rumi and the space at the Ismaili Centre in Burnaby, B.C. It is inspired by the creative prompts of devotion, aspiration, legacy and time for the Jubilee Arts Festival. In this poem, Rumi has expressed his love for the divine so deep that his poetry only scratches the surface. It has been translated by Deepak Chopra and recomposed by Jamil Mawani to express the love for Mawla. This film represents the experience one would feel in the house of prayer, where the hidden messages in the poetry are revealed through the architecture. Look for the diamond shapes and you will count well over 60. The symbol used in the title of the film is the Arabic letter Ba (ب) which is equivalent to the letter ‘B’ in the English alphabet. It is the first letter in every part of our Dua and contains the secret to the whole Quran. The dot is the symbol of creation and represents Hazart Ali. This point is the beginning and end of everything. Just like any great poetry or art, you will discover something new each time you watch this. 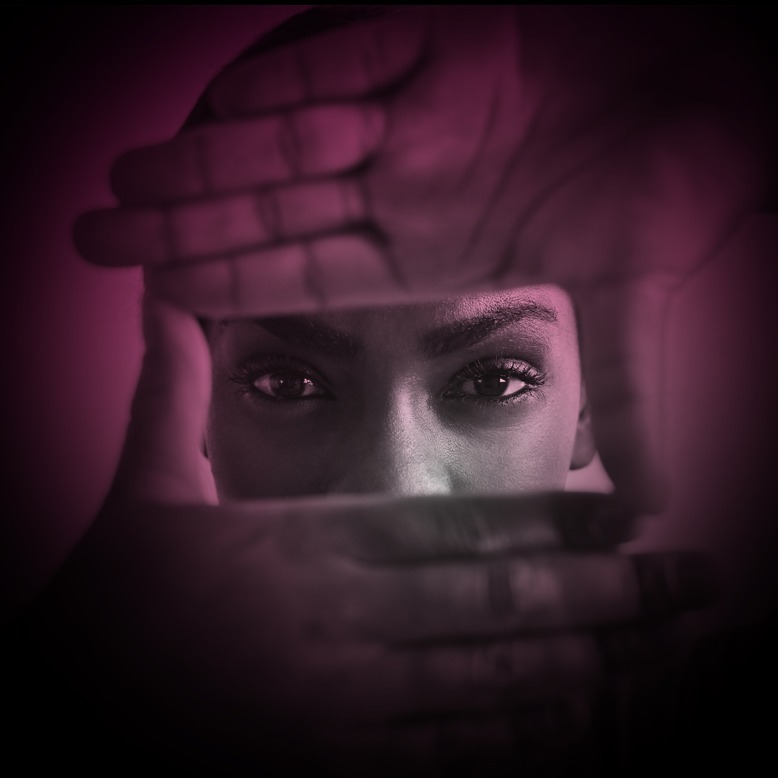 The camera and lens, through lighting and space, makes this piece timeless. 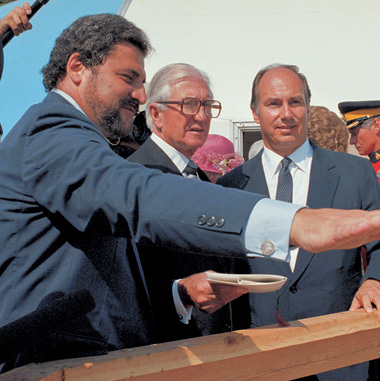 This film will bring to you inspiration and enlightenment, and you will re-discover the Ismaili Centre Burnbay in a new light. Enjoy the film and let it take you away. 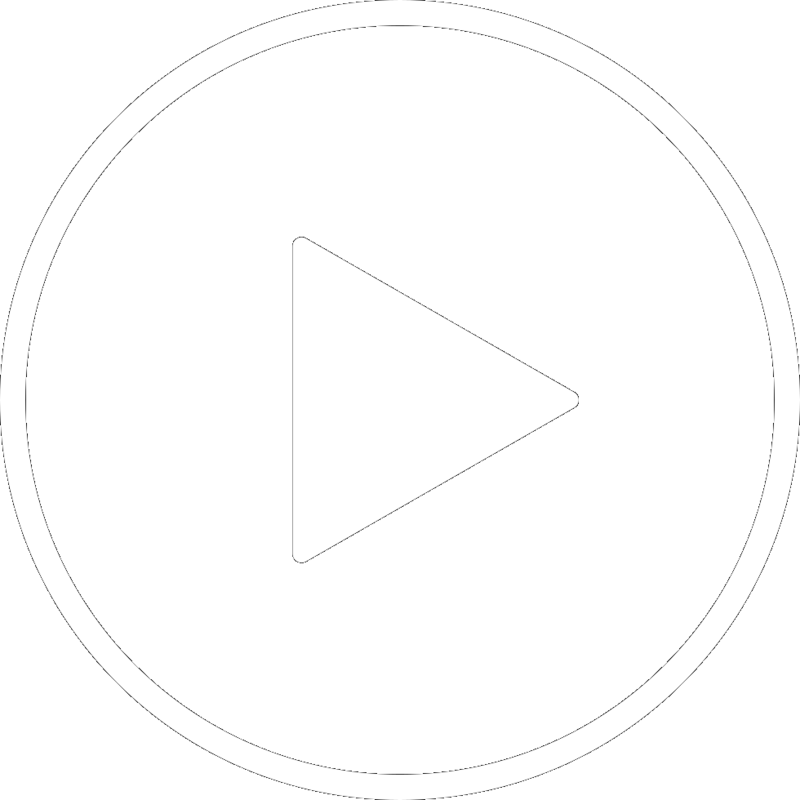 Tasmiya Productions is a group of artist from different backgrounds, united through music. They are based in Calgary, Alberta, Canada. 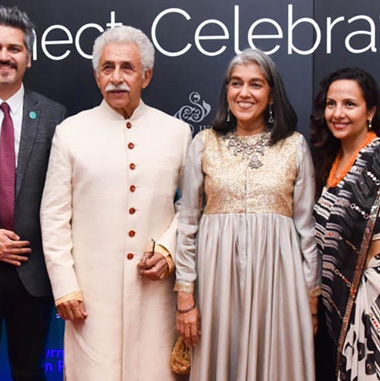 Tasmiya had the honor of being part of music directors Salim & Suleman Merchants Diamond Jubilee Tribute “Jubilee Mubarak”, alongside many other artists such as Shariq Lalani from the USA called “Shukranlillah”. Wajhu: The Glimpse, is a two-hour long production, which initiates a journey of Intezar, and yearnings for the Glimpse of the Imam. The journey involves expressions of love and gratitude through Ginanas, Qasidas, Quranic Ayats, Sufi literature, and Zikr. Here is a “glimpse” of this production. Enjoy! Jamil Mawani is the creative director and owner of Third Eye Productions, a multimedia company helping businesses market and network through digital media and print, for over a decade. 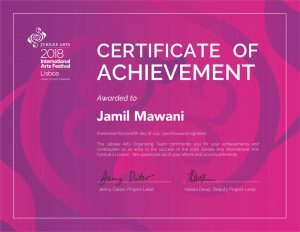 Jamil has been inspired through film and has captured hundreds of Ismaili weddings, community events while working closely with AKDN leaders in providing creative videos for their projects. 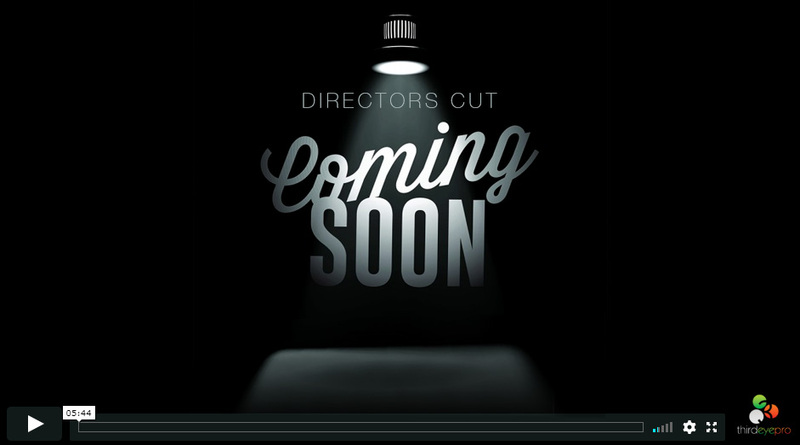 His company is one of two design agencies for the Canadian Diamond Jubilee as well is the video lead for BC. Jamil Mawani also sits on the board of Directors for the Ismaili IT Association, while also helping his family at Jambo Grill. Jamil has created a devotional video that has given him the strength to serve his community. 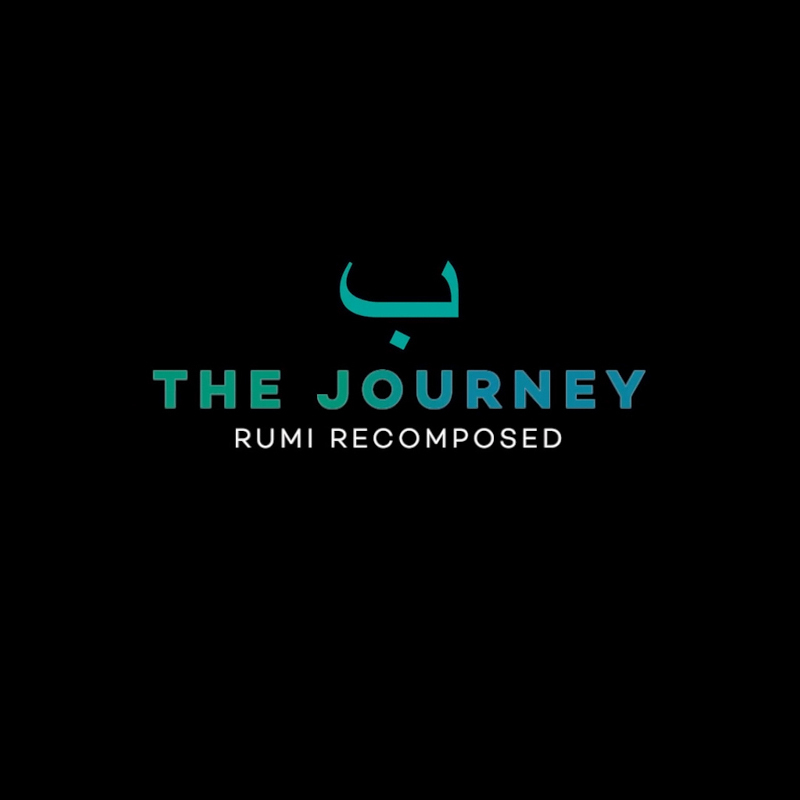 He introduces to you The Journey, Rumi Recomposed a devotional masterpiece. 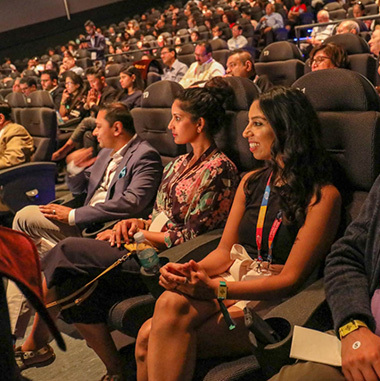 Winner of the Canadian Jubilee Arts Film Festival in the 5 min category and was presented at the Four Seasons Performing Arts Centre in Toronto, Canada. Competing amongst all regions across Canada, The Journey truly was a devotional masterpiece amongst the viewers. 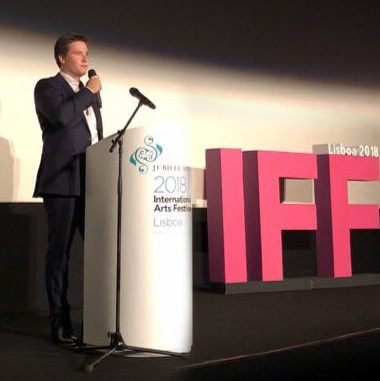 Official Selection of the Jubilee Arts International Film Festival present at the Cinema NOS Vasco da Gama in Lisbon, Portugal. Over the course of 4 days, the film was presented twice each day with a Q&A session on the last day with a live audience. This film was highly rated amongst viewers and left most of the audience in tears. We had the honor to present our film to all the hard working IVC Volunteers in Calgary at the Westwinds JK to reflect on the Diamond Jubilee year. Our film and poetry was completely in line with their theme and title ``Illumiate``. 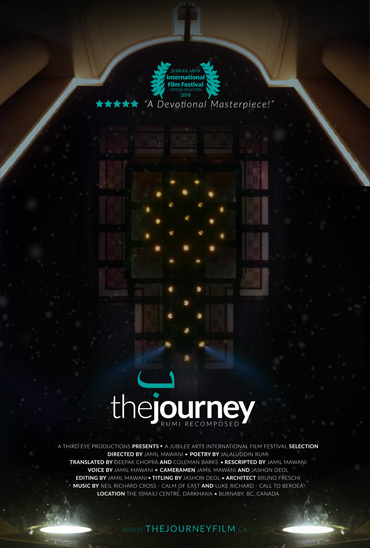 With inspiring word from Rumi, the Journey Film was honored to showcase this film to the young students who attended. 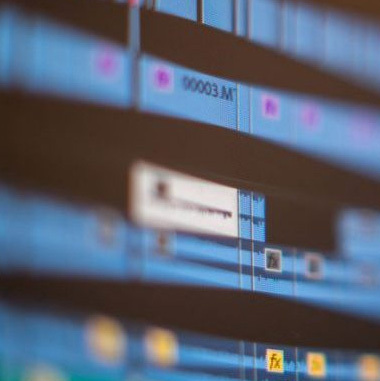 "Film, especially in today's world, of constant communication and social media, is an important if not, the best way to send a message but also to physically show something that matters." It truly is beautiful in its many dimensions. You have captured in imagery, sound, and poetry, the spirituality of the place.... the film is indeed Extraordinary, I was moved by it. Your brought the extasy of our Jamat Khana come to light in a way that we have not seen. Thank you! Your film brought tears to my eyes... your recitation in combination with the background music along with perfect imaginary is surreal. I speak Farsi and Arabic and I'm very familiar with Rumi ; the translation is super strong...I don't know if this make sense , but I felt God's presence and his love all of a sudden tangible... well done!!! ... according to the Quran, this is what Paradise looks like! Your film not only enlightened my day, it also enlightened my Jubilee year! This film is beautifully composed, the spoken poetry and cinematography truly brought this film to life. 5 Stars! Fantastic Job. Proud to have this film representing Canada in the International Film Festival. Wow! Directed, acted, composed, spoken, filmed and edited by 1 Ismaili, way to represent yourself in the festival! Good Job!! Amazing Job cant wait till you produce your next film! This film is soo well produced and touched my heart on so many levels! Great poetry and an expression of love during this Diamond Jubilee Year! Excellent!!!! Spirituality is a journey, as you go deep u will discover hidden meanings, that is seen in this short movie. 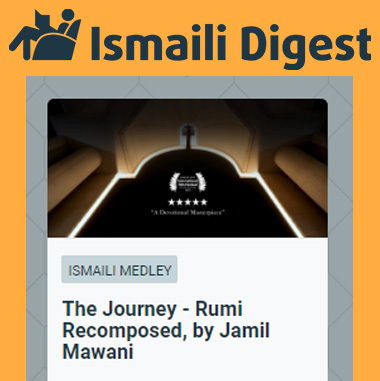 I have to confess, I watched The Journey: Rumi Recomposed more than a number of times, I was mesmerized, helped and healed by the poetry of light, sound and images that you have put together. It is an incredible work and I am humbled to have had a chance to watch it.